Justin DeCesare, president of the Tierrasanta Community Council and candidate for City Council in 2016. 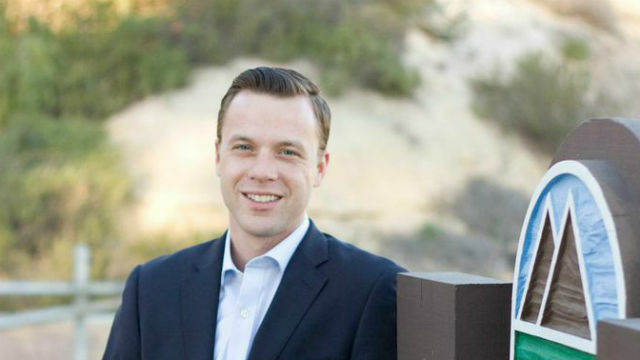 Justin DeCesare, president of the Tierrasanta Community Council and a local businessman, officially announced his candidacy for the District 7 seat on the San Diego City Council in 2016. DeCesare, 32, will face Scott Sherman, who was first elected to the council in 2012 to represent the district that includes neighborhoods north of Interstate 8 and east of State Route 163 and Interstate 15. A Navy veteran and real estate broker, DeCesare became CEO of a successful independent real estate firm, Middleton & Associates Real Estate, which was recently acquired by a large corporate brokerage. “In my time in the business world and the private sector, I have seen what makes businesses succeed and what makes them fail,” DeCesare said. “We have many opportunities to improve the character and beauty of our communities, make them safer, and provide our neighbors with top-of-the-line facilities and services. DeCesare has been endorsed by State Sen. Marty Block.